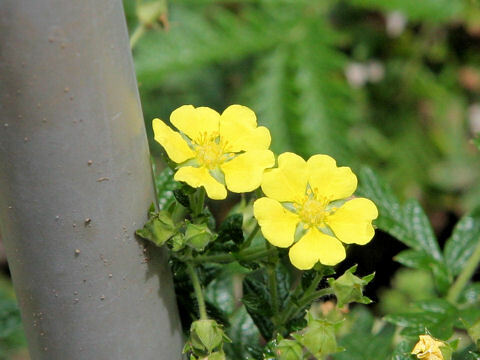 Chinese cinquefoil (Potentilla chinensis) belongs to the Rosaceae family (the Rose family). 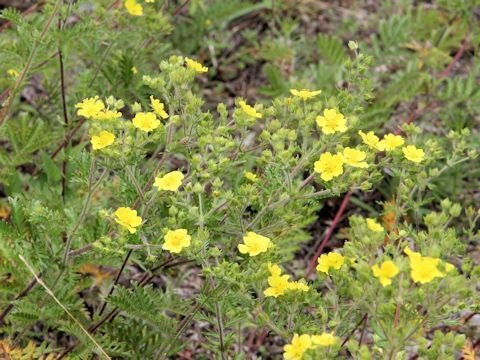 It is a perennial herb that is native to Honshu, Shikoku and Kyushu of Japan, as well as Taiwan, the Korean Peninsula, China, Mongolia and Far East of Russia. 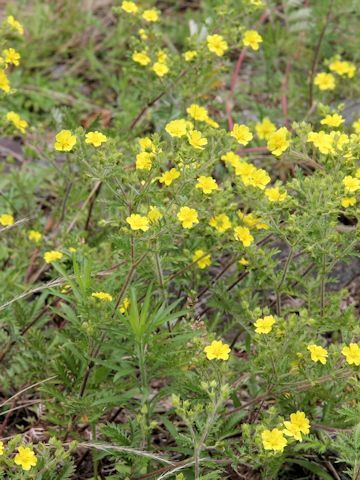 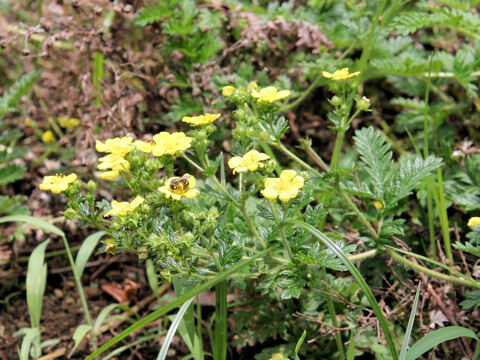 This herb grows in sunny stream banks and coastal screes, and can reach 30-70 cm in height. 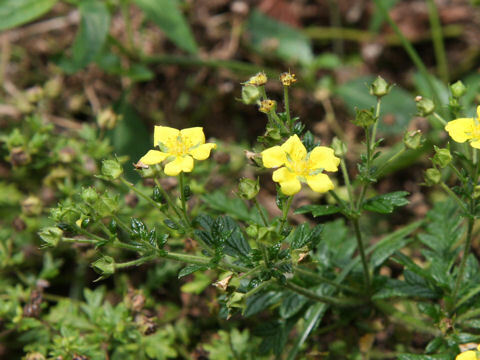 The stems are reddish and spread by creeping on the grounds. 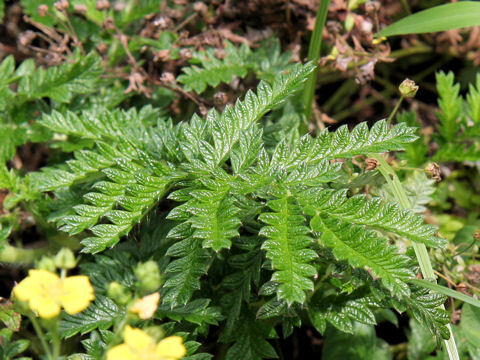 The leaves are impari-pinnate with 13-27 oblanceolate leaflets. 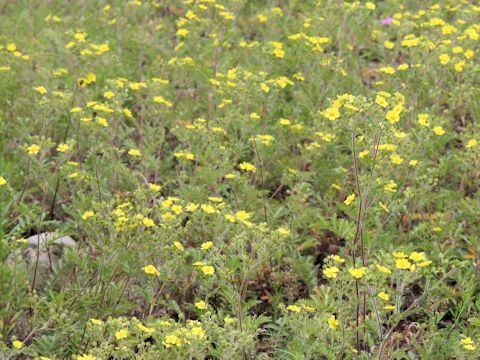 It is defined by small laminas which arraneged between laeflets. 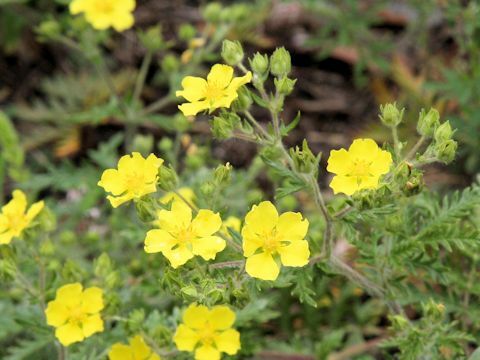 The yellow, five-petaled flowers bloom in June to October.